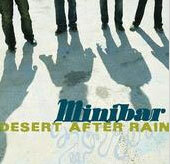 Formed in London in the mid-1990s, Minibar relocated to sunny California to make all those rock 'n' roll dreams come true. Apparently there's a better school of musical thought over in the U.K., because these young musicians sound like they should be 40-year-old veterans. On "It Is What It Is," the album opens like rush of air gently shooting by your ears. The listener immediately knows what's in store--no pain, no depression, just straight-out feel-good rock. Frontman Simon Petty's songwriting is nothing to be scoffed at either. Verses like "There's no need to talk at all / Sunlight on the wall / It is what it is / There's no need for argument at all" will leave you grinning in acknowledgement. Fly Below the Radar has that signature happy, airy English feel to it that makes you want to just fly out of your cubicle and get the sun in your eyes. A bouquet of cheery vocals and aural textures dance around the listener on songs like "Unstoppable," almost hinting a distant, Sgt. Pepper-esque feel. If you're over 25--or an Oasis fan--it's a safe bet your 12 bucks will be well spent.